Shaheen Khurana Archives - Read. Think. Act. 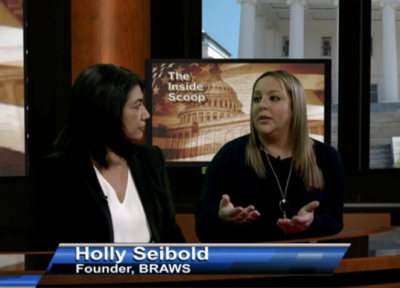 (Dec. 10, 2018) Catherine Read interviews Holly Seibold (President) and Shaheen Khurana (Legislative Affairs) of BRAWS (Bringing Resources and Aid to Women’s Shelters), along with Del. Jennifer Boysko and FCPS School Board Member At-Large Karen Keys-Gamarra regarding the issue of menstrual equity. Catherine first speaks with Holly Siebold about the term “menstrual equity” and why it is on the radar of so many people in the Commonwealth of Virginia. Holly became involved with this issue several years ago, when she founded the organization Bringing Resources and Aid to Women in Shelters (BRAWS). At the time, her goal was to get menstrual supplies to low-income women who did not have the resources to purchase them. As Siebold has learned more and more about this issue, she has championed the idea of bringing full access of these products to all women in need. She specifically mentions that the place where the most work needs to be done is in the public schools. In her travels throughout Northern Virginia she has found that 30% of the girls surveyed have had to miss school to manage their period. This could be for something as simple as not having a tampon or pad at school, or being forced to go home to get products or to change clothes. This puts girls at a tremendous disadvantage, especially those who come from low-income households who do not have the necessary resources to deal with these challenges. In addition to the fact that they are forced to miss school, many young women feel shame and stigma about having to manage their menstruation. Schools are not equipped with products to help the girls, and students might not want to tell the nurse or counselor what their problems are due to shame, anger or embarrassment. Part of Holly’s work is to help change this dynamic, and to change how adults approach and talk about menstruation. BRAWS also sponsors a teen council to help de-stigmatize periods and elevate this issue, as well as advocate and raise funds for those in need. 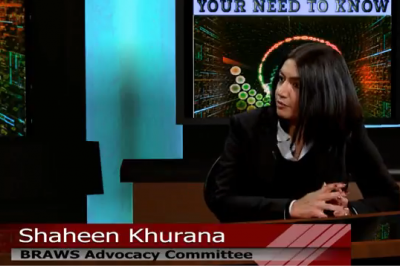 In the second segment Catherine speaks with Shaheen Khurana, the legislative affairs specialist at BRAWS working on menstrual equity bills in the Virginia General Assembly. Last year, BRAWS successfully worked with Del. Kaye Kory to pass HB 83, a bill directing all correctional facilities in Virginia to make menstrual products readily available, and free of charge, to all inmates who request the products. In the past there was a wide disparity throughout the state run correctional facilities on how these requests were handled. Many inmates were required to purchase the products as the store, but could not afford to buy them. This legislation ensures that all women have access to the sanitary supplies that they need on a monthly basis. Del. 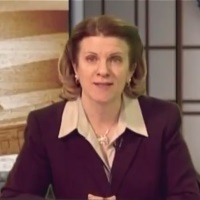 Jennifer Boysko joins Catherine in the following segment to discuss her work to bring the Dignity Bills to the floor of the chamber in 2019. These bills are designed to abolish the sales tax charged on menstrual products to help ease the burden of the cost of these goods. The first bill introduced last year would have removed the tax only during the sales tax holiday, which is designed and marketed as “back to school” sales tax relief. Currently, everything from wedding dresses to candy are included as part of this tax relief program. The second bill would have removed sales tax permanently on all purchases throughout the year. Both bills were killed in committee last year, but Boysko hopes to have a better outcome with these bills during the 2019 session. As menstrual equity is elevated in the state and national discourse, she believes that they can make progress. To date, fifteen states have already removed sales tax from these products, and NY, CA and IL have all required their school systems to provide menstrual products free of charge to students in need. Catherine’s final guest is Karen Keys-Gamarra, School Board Member at Large for Fairfax County Public Schools. She has successfully included support for menstrual products to be supplied to students who need them in the FCPS legislative package being sent to Richmond this year. Keys-Gamarra strongly believes that as the largest school division in the state, it is important to include this as a priority and be a leader on this issue. She notes that the school accreditation standards have recently been updated to include school absence as a factor. Based on the student surveys indicating that girls are missing classes due to not having access to menstrual products, she felt compelled to raise the issue. FCPS Superintendent Scott Braband has been directed to explore the scope, cost and impact that this request would have on the school system’s budget. (Jan. 3, 2018) Catherine Read interviews Holly Siebold, founder of Bringing Resources and Aid to Women’s Shelters (BRAWS), and Shaheen Khurama, head of the BRAWS Advocacy Committee. They are a non-partisan coalition, composed of groups and individuals with interest in menstrual equity. They believe that access to safe menstrual products is a matter of human dignity and public health. The advocacy committee, notes Khurama, has a mission to support public policy initiatives that have three main objectives. First, they want to expand access to menstrual products in schools, women’s shelters and correctional facilities. Second, they aim to make menstrual products more affordable by making them tax-free or allowing the products to be included in Flexible Spending Accounts (FSA) Benefits, and by adding eligibility of these items for refundable tax credits. Lastly, they aim to make the products safer by requiring manufacturers to list the materials used in the products. Author Jennifer Weiss-Wolf, in her book Periods Gone Public, coined the term “menstrual equity”, where she talks about the stigma of openly talking about menstrual cycles. She also notes that women and girls do not have equal opportunities for success in cultures throughout the world because of how they are treated or isolated during their menstrual cycles. This book caught on with female grassroots activists in the US. Although women don’t face many of the obvious problems that occur in other world cultures, female advocates did find parallels and wanted to start a grass roots movement to change the culture around menstrual cycles. In an effort to educate girls about this issue, Seibold shares that BRAWS has started a teen leadership council, where girls from Elementary, Middle and High Schools come together and learn how to talk openly about periods. They are then ambassadors, as they return to their home schools and hold conversations about periods with their peers. BRAWS aims to educate the next generation and take away the stigma about periods, using proper terminology, as well as having free products available in bathrooms and clinics at schools. BRAWS has heard from girls who have had to leave school because they get their period and don’t have access to products to manage their menstruation. This is something that can and should be addressed. In the upcoming Virginia Legislative session, there are three bills being introduced to address the goals of BRAWS. Del. Kaye Kory is introducing HB 83, which would require correctional facilities to provide feminine hygiene products free of charge to inmates. ( update: since the interview this bill has passed through both the House and the Senate and is awaiting signature from the Governor). Del. 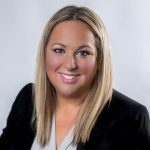 Jennifer Boysko introduced two other bills designed to provide tax-free purchases of sanitary products, HB 24 and the complementary bill HB 25. HB 24 would make them permanently tax-free, and HB 25 would make products tax-free during the back to school tax-free holiday (update: both of these bills failed to make it out of the House). The Virginia Menstrual Equity Coalition has brought together women’s advocacy groups from around the Commonwealth. These are not partisan groups, they are simply women from all across the state who want to advance the agenda of de-stigmatization of menstrual cycles and increased access to feminine hygiene products. BRAWS encourages women to contact their legislators (state and federal) to help advance their goals to make these products safer and more affordable. The coalition is thrilled to have the support of Gov. Ralph Northam, and hopes that with his medical background he can help raise the profile of these issues. On the Federal level, Rep. Grace Meng (D-NY) has legislation moving through Capitol Hill to require ingredient labeling for feminine hygiene products. You can follow the progress of all of this legislation on the BRAWS website and on the Facebook page of the Virginia Menstrual Equity Coalition.